Below is a great article about working in a portfolio career - with tips by no other then our recent graduate Module Salu, who is currently impressing at the National Student Drama Festival . . .
We hear her performance yesterday was brilliant, so we are very proud and happy of Modupe. We wish her and fellow graduates Jenny Wade and Adam Zaman a wonderful last day at the Festival . 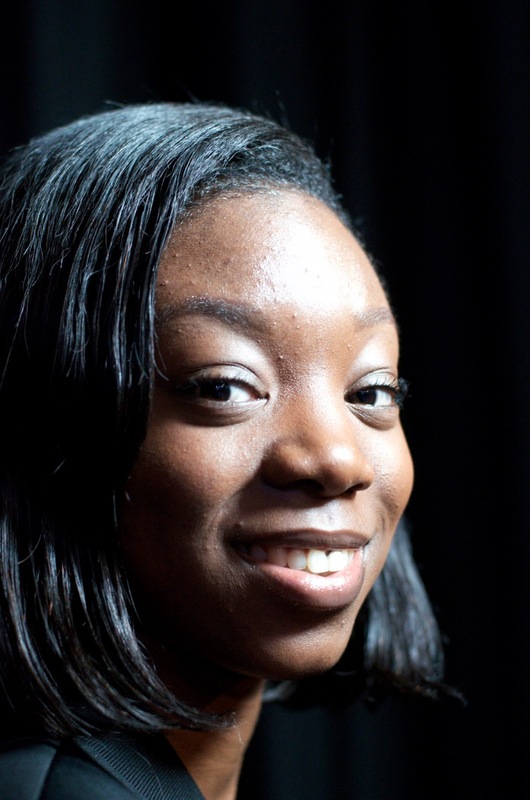 . . . .
Our Performing Arts graduate student Modupe Salu will be performing her dissertation piece I Can’t Breathe at the National Student Drama Festival in Scarborough next week. The National Student Drama Festival is a yearly event organised with the Sunday Times; celebrating young talent, it invites applications from performance makers who are 16-25 years old. Over a week, selected entries will showcase their work, partake in workshops and master classes and meet like-minded peers and professionals from the industry. This year, 12 performers or companies were chosen to partake in this prestigious and unique opportunity, and we are very proud that our very own Module Salu has made the selection. Modupe Salu has attended Harris Academy Chafford Hundred and Havering Sixth Form College, before joining us to complete her BA (Hons) in Perfoming Arts (Film, TV and Stage). Her work I Can’t Breathe is a personal reflection on issues of race-related violence and cultural prejudice and has previously been performed at Bucks New University and at the Court Yard Theatre in London and you can see it at the National Student Festival on the 24 March. Our course leader Dr. Nic Fryer will join her at the Festival. Fellow graduates Jenny Wade and Adam Zaman, will also attend to provide additional support and partake in the activities the week offers. We are very proud of Modupe, who is an amazing performer and has worked hard for this opportunity and we are looking forward to see her performance again. The link below will give further information on the festival and how to obtain tickets. 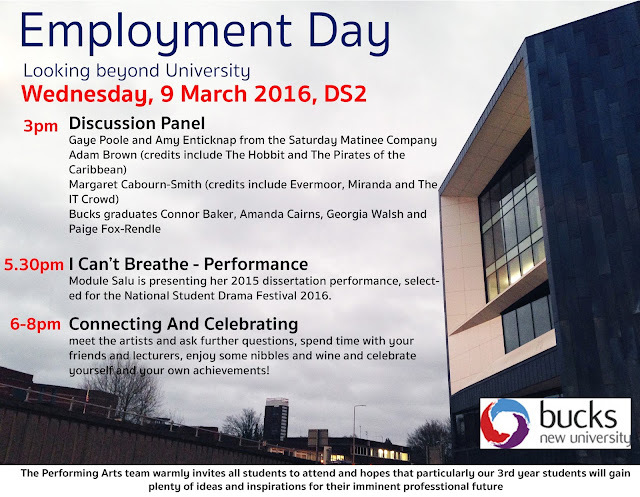 Our yearly Performing Arts Industry Panel event will be held this Wednesday 9 March. Our team have put together an exciting day that gives student a chance to network with professional actors from the Stage, Film and TV industry, catch up with Performing Arts graduates who are currently establishing their careers, receive lots of professional advise and to top it all up, there is a free performance and celebratory food and drink!